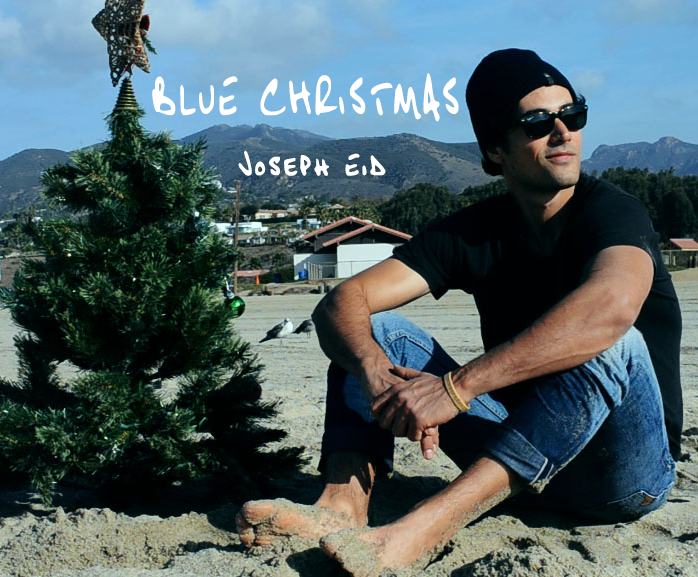 New Video Release of the Classic Christmas Song Coincides with Guitarist/Vocalist's Latest Single, "Something Real," from Debut Album, "Human"
A special Christmas combo from Joseph Eid featuring a cover version of the famous Elvis Presley Christmas hit, “Blue Christmas”, and Eid’s recent new video and single, “Something Real”, is going for adds on radio and set for this season's holiday promotions starting November 10th. Americana-Folk Singer/Songwriter Joseph Eid released his debut full studio album Human in November 2013 and contains the first single, ‘Ready Now.” Eid has been garnering considerable buzz with his music and recently named as one of the 100 Hottest Live Unsigned Artists of 2012 and 2013 by Music Connection Magazine. Even though, as a legendary and well known Christmas song, “Blue Christmas” has been covered by many outstanding musicians, Eid’s emotional and heartfelt singing style and his refreshing and delicate finger picking guitar sound give a brand new translation to this Christmas hit. As a folk singer/songwriter, Eid knows how to take the best advantage of the pure and clear acoustic sound of a guitar to express his inner world and passion. This version of “Blue Christmas” combined this feature with his emotional and soft male vocal, and the gentle piano fill-ins are like the red cherry on a sundae, making the whole song feels like a warm breeze in the Holiday season. Eid’s release includes not only the sound recording of this song but also a new music video, which will provide new fans and holiday music lovers a musical classic remake as well as a visual into Eid’s world. “Human,” has been a big breakthrough with professing his craft as a professional musician. Sound of Confusion commented, “Human is a real journey with some touches of magic, all delivered with a charm and craftsmanship that rewards with each play." The album seamlessly blends sharp, melodic pop lyricism with traditional folk sensibilities evoking folk troubadours both past and present. It overall has a peaceful and soothing feeling, while every song is a strong and passionate self-expression from the artist. The delicate and emotional guitar work and intricate but relatable lyrics has become Eid’s trademark. The second song from Eid being serviced to radio and media/video outlets is his latest single “Something Real” from his debut album “Human”. Eid recently released a music video of “Something Real,” which is based on a personal experience that also happens to be universal with communication via technology and social media. A visually simple yet emotionally complex music video, “Something Real,” is meant as a commentary on our constant need to be plugged in and how this has changed the way we communicate as well as taken away the value and the weight of words and human connection. This idea is demonstrated in the video as Eid sings to and tries to connect with lifeless, robotic people. The twist at the end of the video illustrates that no one is immune to the digital disease – including Eid.